AntiqueAdvertising.com is the place for antique advertising collectors, dealers and hobbyists to find a free price guide with guaranteed verified actual auction prices (with detailed descriptions), informative articles, and everything related to antique advertising. 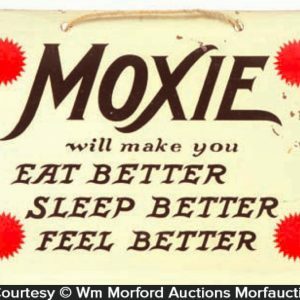 We specialize in antique advertising signs, tins, trays, displays and related vintage smalls. With decades of experience, we recognized the need for a free, always available on-line price guide where people can openly research, exchange and communicate information and display their collections. Collectors of all levels are welcome to join us and share their knowledge. Sign up for alerts on upcoming auctions pop-up stores and articles and be sure to like us on our facebook page for items of the day, blog updates and more. We currently offer over 10,000 photos with actual verified sales prices (including any buyers premiums). All prices posted have been verified by the listers and include detailed descriptions, condition reports and sizes. We will continue to add to the price guide on a regular basis and encourage members to make comments on the pieces as well as submit favorite items from their collection. 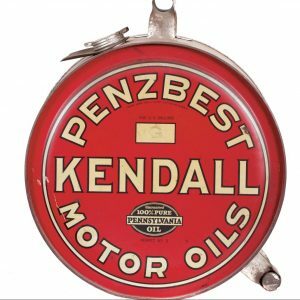 Our auctions onsist of a fun group of small vintage advertising and collectable items for all collector interests and budgets. 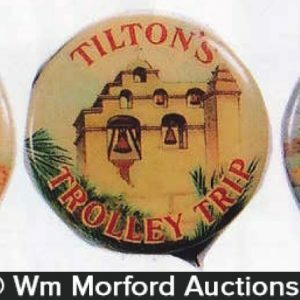 A typical auction will include antique tins, signs, pocket mirrors, toys and a wide range of samples and collectable smalls. If you find our website helpful, we look forward to hearing what you like about our site or what features you would like to see in the future. You can contact us here. We are constantly trying to improve our site by adding new features and products to our price guide. A lot of work went into building this site and if you find it useful, donations are welcome but not expected. Your donations help us improve our community and your experience.